THE B-MOVIE NEWS VAULT: Scream Factory raises Kane with new Blu-rays of POLTERGEIST II & III! 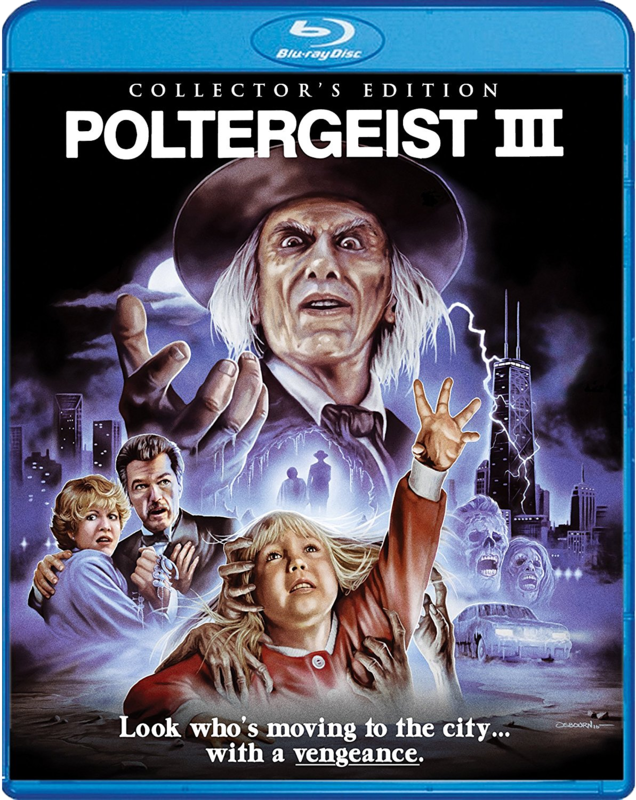 Scream Factory raises Kane with new Blu-rays of POLTERGEIST II & III! ON JANUARY 31ST, REVEREND KANE RETURNS IN SCREAM FACTORY'S NEW COLLECTOR'S EDITIONS OF BOTH "POLTERGEIST" SEQUELS! POLTERGEIST is a timeless classic that still holds up quite well today. It's sequels... maybe not so much, but there's still plenty to love about them. And now you can enjoy both films in all new 2K transfers, with tons of cool extras! Yup, it looks like it's time for me to retire my current POLTERGEIST II & III double feature set for these bad boys! Synopsis: In this thrilling follow-up to the smash hit POLTERGEIST, the Freeling family (JoBeth Williams, Craig T. Nelson, Heather O'Rourke, Oliver Robins) settles into a new home following the annihilation of their former residence by terrifying visitors from the netherworld. But the spirits of the dead are still hell-bent on luring the family's clairvoyant daughter Carol Anne to "the other side." This chilling sequel, directed by Brian Gibson (BREAKING GLASS) also stars Will Sampson (ONE FLEW OVER THE CUCKOO'S NEST), Julian Beck (THE COTTON CLUB) and Zelda Rubinstein (ANGUISH) returns as Tangina. NEW! 2K Scan Of The Interpositive! NEW! Audio Commentary With Writer/Producer Michael Grais. NEW! Audio Commentary With POLTERGEIST II Webmaster David Furtney. NEW! Robbie's Return – An interview with Oliver Robins. NEW! The Spirit World – An interview with special effects designers Richard Edlund, Steve Johnson, and Screaming Mad George. NEW! Ghosts Of Giger – A look at the contributions of Artist H.R. Giger featuring rare photos and illustrations, as well an interview with Giger's friend and agent Les Barany, and Special Effects Designers Steve Johnson, Richard Edlund And Screaming Mad George! Vintage Featurettes: They're Back: The Making Of Poltergeist II, Monster Shop, and Ghostmakers: The Magic Of Poltergeist II! POLTERGEIST II: THE OTHER SIDE will be available at all retailers on Tuesday, January 31st! Between the new 2K transfer, and the multitude of new extras, I think it's safe to say that this is a must own title for fans of the POLTERGEIST series! 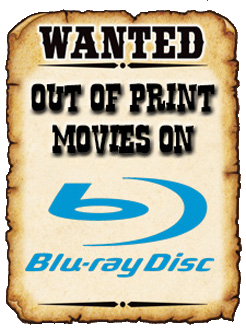 Order it today from AMAZON, BULLMOOSE, DIABOLIK DVD, or directly from SHOUT! FACTORY! If you order from Shout!, you will have your copy shipped ASAP and get a cool 18 x 24 poster with the newly commissioned artwork! Synopsis: They are back….again! And they're looking for Carol Ann in this riveting finale to the POLTERGEIST trilogy. Sent by her parents to live in a Chicago highrise with her aunt (Nancy Allen, CARRIE) and uncle (Tom Skeritt, ALIEN), Carol Ann discovers she must now face demons more frightening than ever before. Led by the Reverend Kane (now played by Nathan Davis), the spirits have moved from invading homes to taking over an entire skyscraper. They are lurking behind every mirror… waiting. Fortunately, Tangina (Zelda Rubinstein) returns to battle these malevolent forces. NEW! Audio Commentary with director Gary Sherman. NEW! Audio Commentary with POLTERGEIST III webmaster David Furtney. NEW! High Spirits – An interview with screenwriter Brian Taggert. NEW! Reflections – An interview with actress Nancy Allen. NEW! Mirror Images – An interview with special effects creator John Caglione, Jr.
POLTERGEIST III will be released simultaneously with POLTERGEIST II on January 31st, and you can order your copy now from AMAZON, BULLMOOSE, DIABOLIK DVD, OR SHOUT! FACTORY! As is the case with POLTERGEIST II, if you order directly from Shout!, you will get your Blu-ray shipped ASAP, and receive a poster!